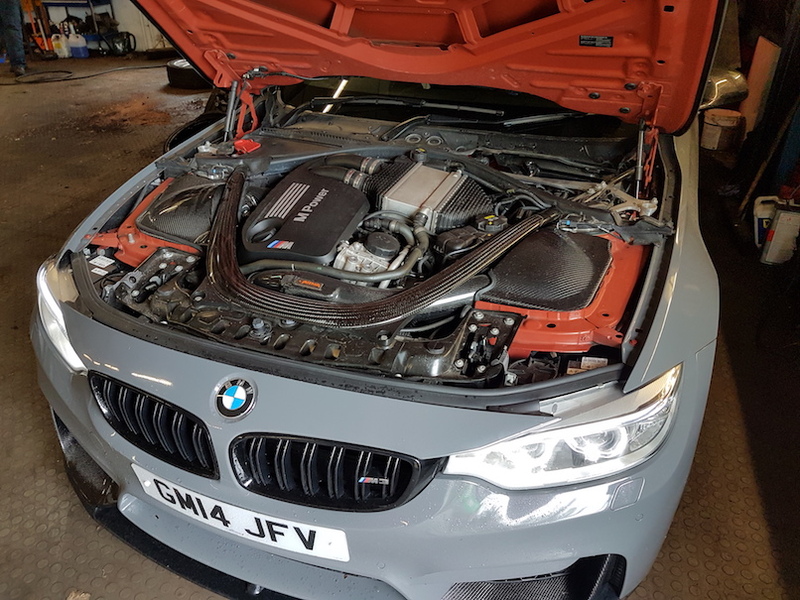 JR Tuning UK - BMW M3 F80 / M4 ECU Remapping. Performance remap software for the BMW M3 F80 and BMW M4 F82. Huge power and torque can be extracted from the F80 M3 and F82 M4 S55 engine through remapping! The BMW M3 and M4 F80/F82 vehicles hugely benefit from performance remap software with massive power gains and huge mid-range torque improvements. They are not however, a simple OBD remap like many customers and tuning companies have become used to in recent years. The Bosch MEVD17.2.G ECU used in the F80 M3 and F82 M4 is a heavily torque controlled ECU which requires hundreds of map adjustments to provide both safe and reliable power. In addition to this, the ECU is a protected ECU which requires programming on the bench. 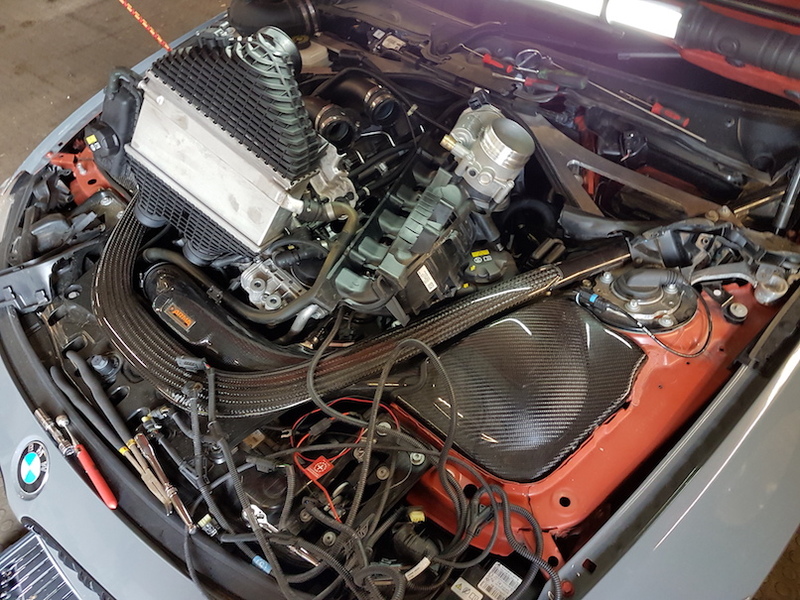 Located under the engines intake manifold, the ECU isn't a simple 'un-plug' job, but with the right tools and experience we can have the BMW F80 M3 and BMW F82 M4 ECU removed, tuned, and re-fitted the same-day. Pictured on the right you can see an F80 M3 ECU still attached to the underside of a removed BMW F80 M3 intake manifold. The process we used to program the BMW F80 M3 and BMW F82 M4 ECU is safe and reliable. 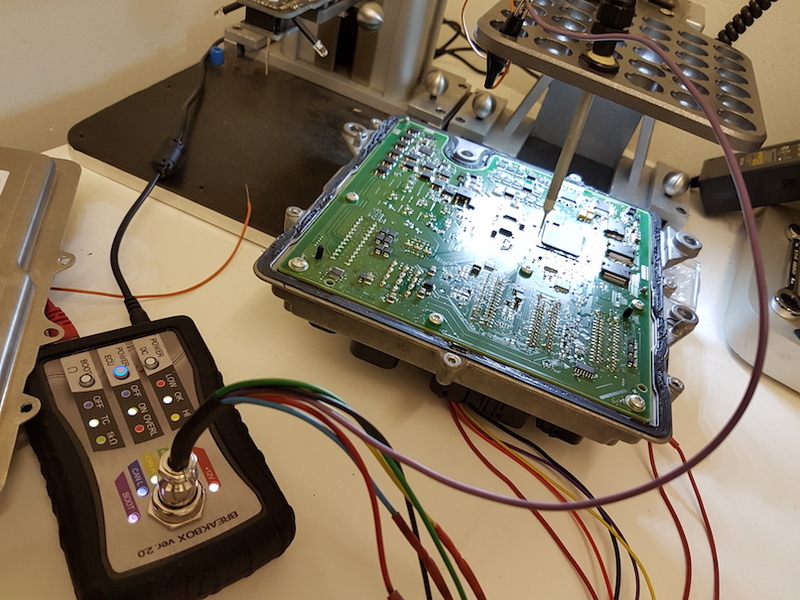 Firstly the cover of the ECU is opened with our specialist Bosch ECU extractors which allow for damage free opening leaving absolutely no marks to the board or case. Unfortunately we see poor forceful ECU opening too often in this industry! Secondly we use spring loaded pins to make a safe and secure contact with the circuit board for programming, without any need to solder connections. 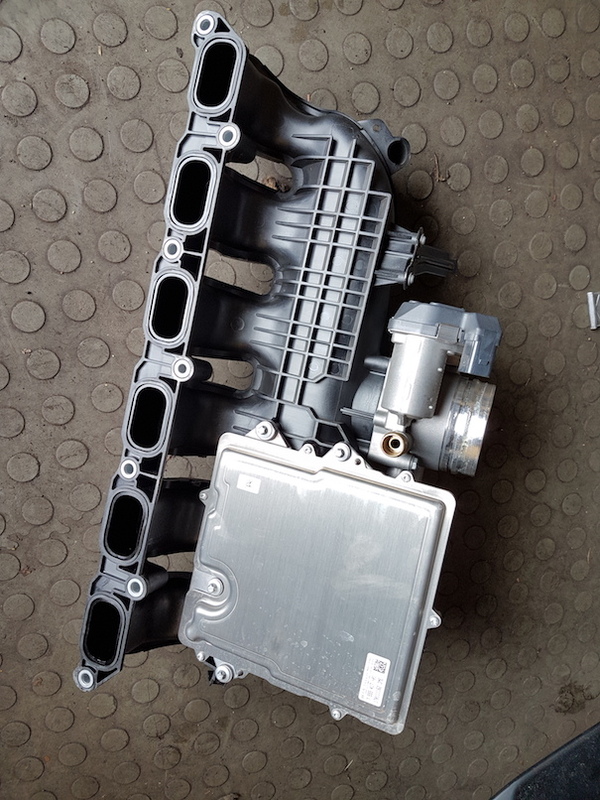 As a result the ECU when fitted back to the vehicle never shows any traces of ever being opened, and is water tight sealed the same as when it left the BMW factory. After making the connections we proceed to upload our in-house developed BMW F80 M3 or BMW F82 M4 performance software. So what are the power figures achievable from the BMW F80 M3 and BMW F82 M4 remap? We had our F80 M3 software independently tested and are pleased to confirm the following power gains of +80bhp and +100Nm over stock figures on our stage 1 software, making for a total transformation to what is already a powerful vehicle and +100bhp and +150Nm torque over stock on our stage 2 software.